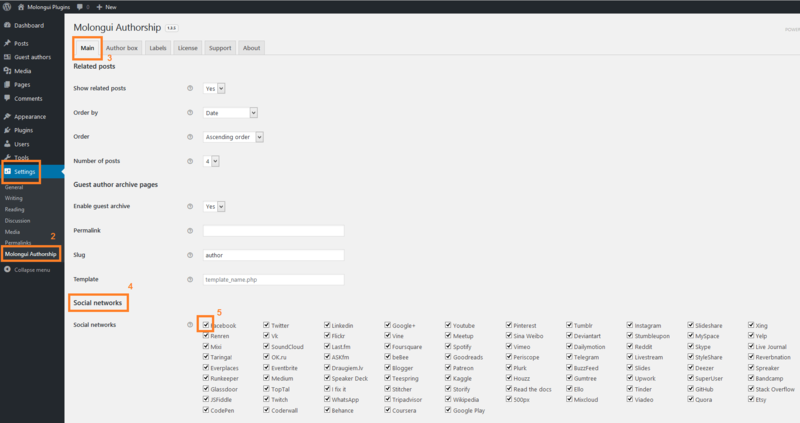 Login to your site’s Dashboard (the admin section of WordPress). Go to the Molongui plugin’s settings page. Normally under the “Settings” menu option. Scroll down to the “Social networks” section. Check those you want to be able to edit from authors edit page. Each author can have a different set of social media profiles added. Only filled in profile fields will be displayed on the author box as a social icon link.